With the recent introduction of the redesigned 2016 Honda Civic Sedan, it was only a matter of time before the Civic Coupe would be released. Now, the 2016 Honda Civic Coupe is on its way to your local Honda dealership in all of its two-door sports coupe glory. 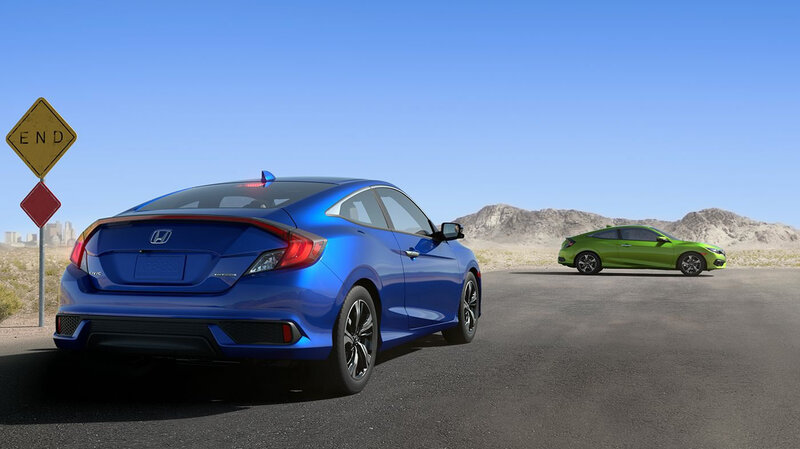 The new Civic Coupe has also been redesigned from the ground up, and features an even more striking appearance with its sleek profile and aggressive body lines. This Honda Civic is unlike any Civic you have seen before, and it outperforms any compact sports coupe in its class. 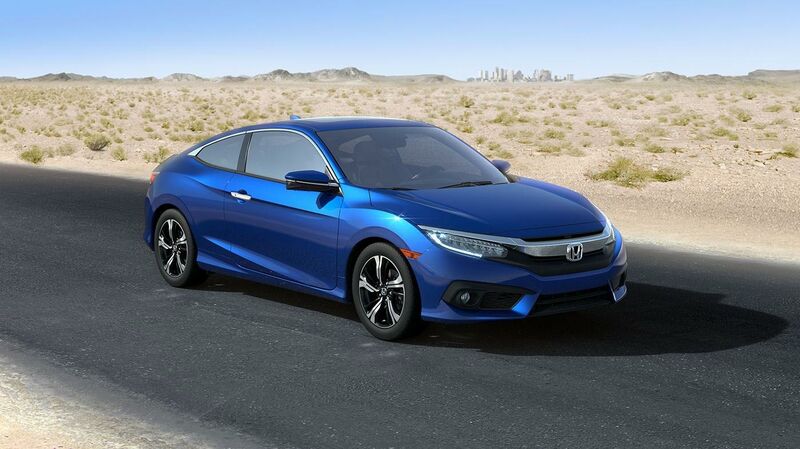 The 2016 Honda Civic Coupe will be available soon at Airport Marina Honda in Los Angeles, CA. Under the all-new sheet metal of the 2016 Honda Civic Coupe are a couple of all-new engine options. The standard engine in the LX trim is a 2.0L normally-aspirated four-cylinder engine that offers 158 horsepower with a 6-speed manual, which is new for the 2016 model year. For the first time ever, Honda has put a turbocharged engine into a production vehicle. The Honda Civic EX-T features a new 1.5L turbocharged four-cylinder engine that pumps out 174 horsepower through a CVT automatic transmission. With more efficient power, the 2016 Honda Civic Coupe has been totally re-imagined. Brand new sheet metal surrounds the Honda Civic Coupe, and similar to the Honda Civic Sedan, the aggressive styling comes standard. The sleek profile helps improve aerodynamics, while maintaining a striking appearance that turns heads. Up front is a bold front grille and bumper design that incorporates LED lighting technology which can also be found in the rear LED taillights. The newly styled front fascia is available with all-LED headlights that will get you noticed and help you see the road better. Inside, an all new interior offers the most luxury ever offered in a Honda Civic. The dashboard features a large touchscreen display that offers Apple CarPlay® and Android Auto™ connectivity. New safety technology includes a standard rear backup camera and Honda LaneWatch™ that uses a passenger side view mirror-mounted camera to display your blind spot for a safer driving experience. Contact us at Airport Marina Honda to learn more about ordering your very own 2016 Honda Civic Coupe in Los Angeles, CA. Check out our new vehicle inventory and visit our dealership for a test drive now!